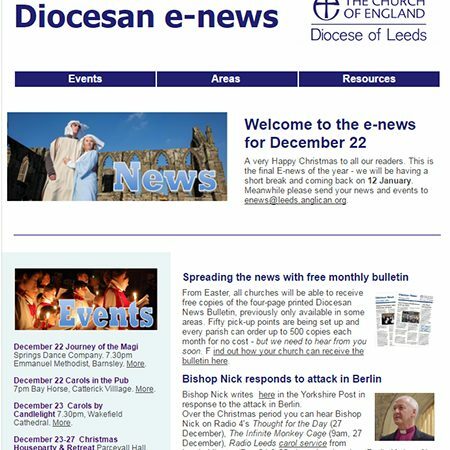 Visitors are being invited to subscribe to receive regular copies of the Diocesan of Leeds E-News. the Dales with a free fortnightly email. website and compiled in a handy, condensed form. information at this exciting time for the diocese. guaranteed, and you can unsubscribe at any time.